We live in a day where the Spirit Of God is calling us to an awaking of the intimate relationship with His Son Jesus. This book reflect the richness of reward that comes from the obedient heart that meditates on His word. 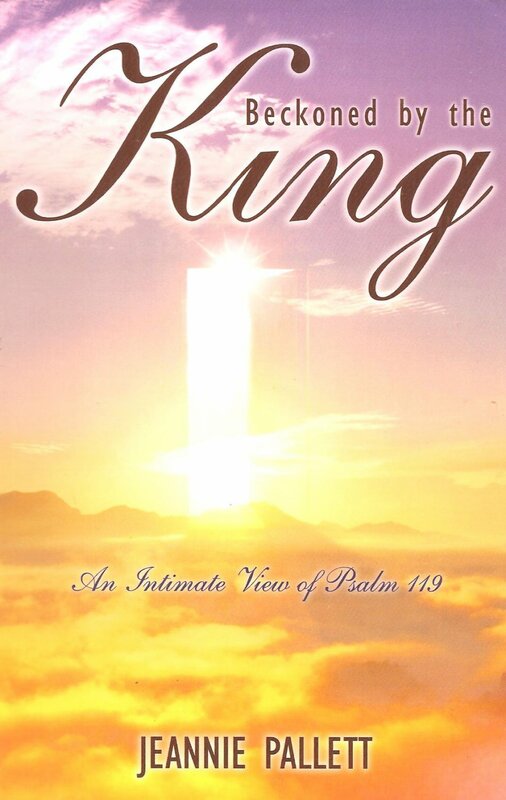 The reflections of Jeannie's look at Psalms 119 will warm your heart in love and pleasure for your King. Grab a cup of hot liquid and curl up by the fire for the King longs to have relationship with you. "Beckoned By The King" awakens us as in it we discover new dimensions of relationship with our Savior, Jesus Christ. Written in a style of heart to heart, read, meditate, and let deep cry out to deep as you enjoy this unique heart felt cry of the Father's heart for intimacy with His creation through His word. Truly this book comes from time spent with the King.